Tola runs a beauty consultancy outfit where she helps ladies look their best by choosing the rights outfits, in the right colours, shapes and sizes, to suit them. She also runs an academy where she teaches young ladies how to make a living from beauty consultancy. She offers different training packages with the longest spanning 12 months. Vee enrolls in the training and pays the requisite fees. Midway into the program, she gets a job and decides she’s not completing the program again. She asks Tola to give her a refund of the fees. Tola refuses and says she’s not entitled to pay her a refund. After a lot of threats, including a threatened visit to the police station with Vee making a scene at Tola’s academy, she is forced to make the refund. After the incident, she meets her friend and recounts what happened to her. Her friend tells her, that early in business, she learned to draw up terms and conditions for her clients who use her services. That way refund policy, delivery policy, and other scenarios are expressly stated an agreed upon beforehand. She ensures that all the clients sign it to avoid problems in the future. Tola, now wiser, has drawn up a written standard terms and conditions for her beauty consulting academy. Do you have one for your business? 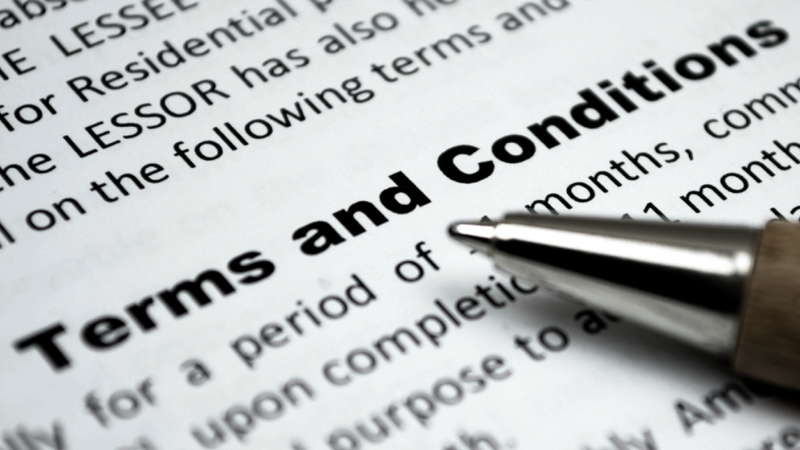 What are your thoughts about a standard contract for your transactions with your clients and customers? Are they necessary? Tosin Omotosho is a business lawyer. She helps business owners give legal structure to their business and avoid liabilities caused by legal mistakes. With a career spanning more than a decade, she has acted as counsel to organisations in the agriculture, advertising, real estate industries among others. An avid reader and writer, she is the Principal Partner, Charis Legal Practice, a law firm based in Lagos. Contact her here, to read more of her articles, click here. As an SME business owner, I know that you would need to take loans sometimes. These loans come in all sorts of variations. However, in some instances, you may not be the one who needs the loan, a friend, a colleague or well meaning neighbour could approach you to sign a deed of guarantee at the bank in order to help them get a loan. This article is aimed at helping you understand exactly what you are doing when you sign a deed of guarantee. So what is a deed of guarantee? A guarantee is an accessory contract by which the promissor (you) undertakes to be answerable to the promisee (the bank) for the debt, in the event of default or miscarriage of another person (your friend) whose primary liability to the promisee must exist or be contemplated. In simple terms you are signing a contract promising that if one person does not pay his legal debts, you will pay on his behalf. What a deed of guarantee is not? A contract under which the liability or debt of the principal debtor (your friend) is extinguished or replaced by the liability of some other person (you) is not a contract of guarantee. This means that if the contract that your friend is trying to get you to sign TRANSFERS his legal debts to you, making him free of debt and you owe his debt, you are not signing a contract of guarantee but a novation. Must my friend be a party to the deed of guarantee? The answer to this question is no. Andrew and Millet in their book on the Law of Guarantees identified that whilst the simplest form of guarantee is one in which the creditor, principal and guarantor are all parties to the contract, it is not unusual for the contract of guarantee to be between the lender and the guarantor. Therefore, you must not think you are not bound by a deed of guarantee just because the party you are guaranteeing did not sign the agreement. Can I be the only one who signs a deed of guarantee? Yes. A deed of guarantee is different from a contract of guarantee. Now, a deed of guarantee is a contract that is valid because of its form. Because you sign a deed it is binding on you because it is a deed. It doesn’t depend on sufficiency of consideration to be valid etc. Even if you are the only one who signs the deed of guarantee it is still binding on you. This simply means that whenever you want to sign a deed of guarantee you should understand what you are doing. It is advisable that you get a qualified legal practitioner to review the agreement for you and ensure that you are making a good decision. It also means that in business there are legal documents which may appear insignificant but have grave implications. 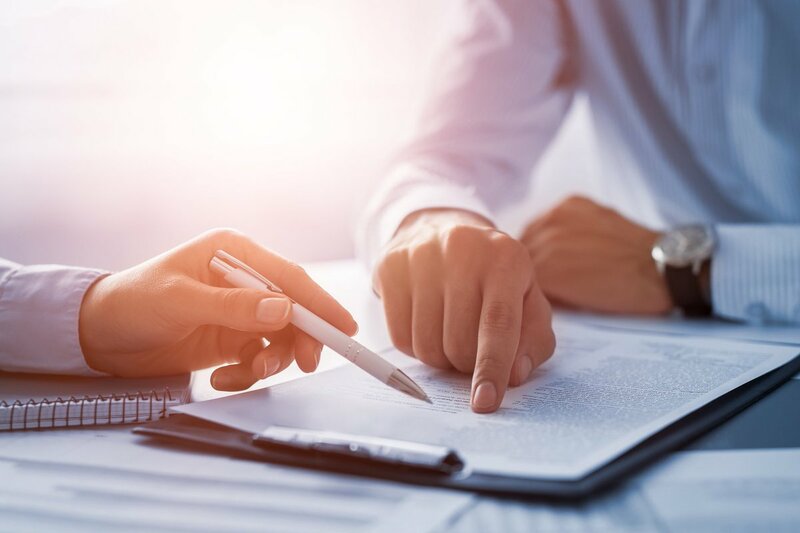 You should not sign documents without reading them properly and making adequate legal consultation regardless of how much you need a loan or money for your business. It is important that you fully understand what you are getting yourself into. Morenike Okebu is a qualified Legal Practitioner that graduated from the University of Sheffield at the top of her class. She has several years of experience practicing in leading law firm owned by a Senior Advocate of Nigeria and now owns her own business, Reni Legal which focuses on uniquely solving the legal problems facing SMES and Start-ups. In Africa today there are a lot of issues facing small to medium enterprises (SMEs). One of the main issues is getting a suitable place to locate their business. If you own a start-up or SME you may choose to operate from home to reduce costs but there are other options available such as renting a space for your company, sharing a space with another business or purchasing a space for the purposes of your business. The space should be slated to be for commercial use. You should look out to ensure that the space you want to rent can actually legally be used for commercial purposes in order to prevent having issues with the Ministry of Urban and Regional Planning. You should also ensure that you are renting the space directly from the owner of the property. You can engage the services of a lawyer to carry out a search at the land registry to help you confirm this. I always advise that payment of rent is made into the account of the landlord directly and any agency and legal fees are paid to the agent and lawyer separately. Finally you need to review your lease agreement carefully. Get a lawyer to check the clauses in the agreement and ensure you are covered. If you need to hang a banner or put up signage for your business, your agreement must permit you to do so. If your business involves clients coming over and parking their cars, there should be adequate arrangements made for parking space and so on. Time would not allow me discuss all the legal considerations you need to bear in mind within this short article but these three tips if taken into consideration would help prevent you from making mistakes. Make sure the person you are subletting the property from has the authority to sublet the property under the head lease. One of the first documents you would need to see before agreeing to share a rented space with someone is their title to the property, it could be a tenancy agreement or a lease agreement for example. You need to look out for the conditions of sub – lease. A good lawyer should be able to advise you on the clauses contained there. Who pays for and organises waste disposal, electricity bills, water bills, local government taxes? How are costs shared where emergency measures must be taken for light or water? Who covers repair bills and chooses the workman? These are just a few of the issues you need to bear in mind to prepare the space sharing agreement. If you have been given one already, were these issues taken into account? You should get good lawyer to help you ensure that all your T’s are crossed and your i’s are dotted. Get a property that has been designated for commercial use so you wouldn’t have any issues with the Ministry of Urban and Regional Planning. If the building has been constructed, ensure that it complies with the building planning approval that was given by the government. Carry out a search at the appropriate registry. I can give you a hint, searching the land registry is not enough. 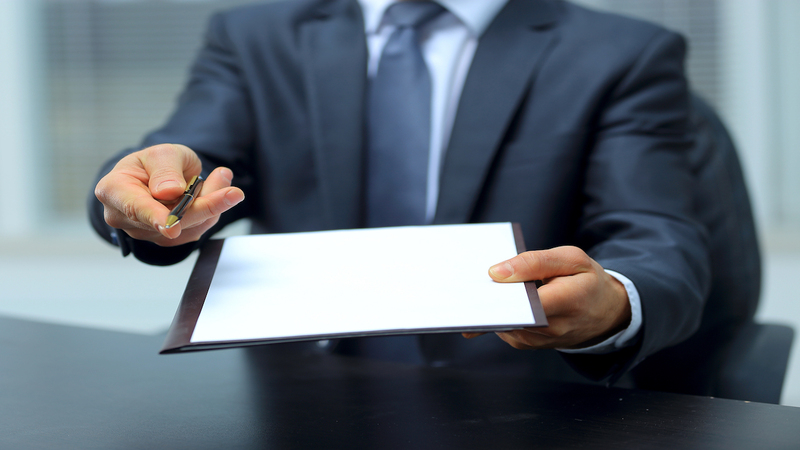 Ensure a lawyer reviews your agreement before you pay or sign on the dotted line. 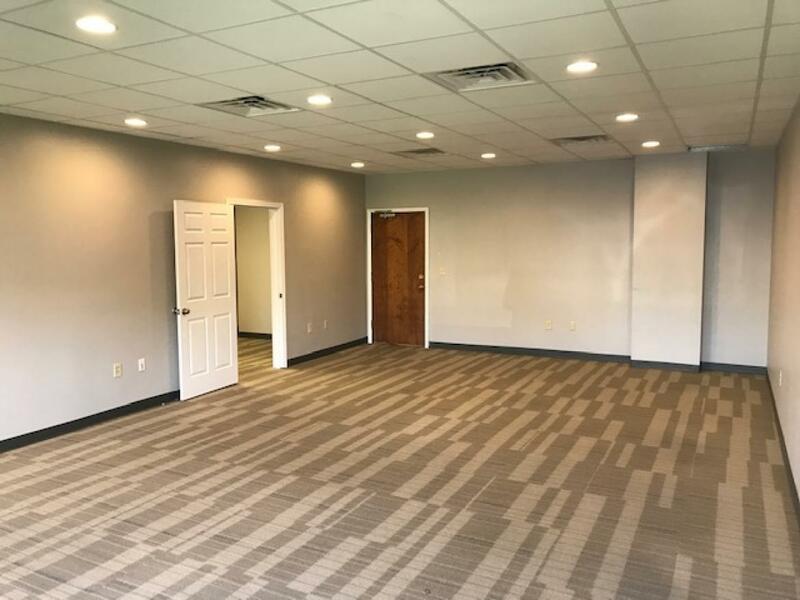 In this article I have just given you a few tips that should help you as an SME make good decisions on renting, sharing or buying office space. I am always an advocate for doing things right if they must be done at all. I advise you always engage the services of a good lawyer before engaging in these transactions in order to save yourself from fraud and unnecessary hardship. Image:Park Commercial Real Estate Inc.
Morenike Okebu is a qualified Legal Practitioner that graduated from the University of Sheffield at the top of her class. She has several years of experience practicing in leading law firm owned by a Senior Advocate of Nigeria and now owns her own business which focuses on solving the legal problems facing SMES and Start-ups. Are you a co-founder of a company? Did you found a company with another person(s)? Meaning you and another person or group of persons has pulled your resources together to start a company, with a fantastic business idea that is guaranteed to change the world. Let me call your attention to a mistake that many co-founders of companies make all over the world. A quick question, have you ever heard of Eduardo Saverin? He was a co-founder of Facebook Inc. with Mark Zuckerberg but not any longer. They had no co-founders agreement and on the basis of that, he was eventually booted out of Facebook after years of litigation and slugging it out in court. Imagine losing out of such a profitable company? It is horrible right? To confirm this story, you can read up more details on the internet. A number of co-founders lose out of their companies because they fail to protect their interest in the company. It is important that co-founders agree on certain important issues and have it documented in a binding agreement. But you say, our company has a memorandum and articles of association. Yes, but as you will soon discover, it isn’t sufficient. What is a co-founders agreement and what does it contain? Why is it so important? A co-founders agreement contain among other things; Roles and responsibilities of each founder, equity ownership and vesting, remuneration, confidentiality, the goals, vision of the company, appointment of employees, signatory rights, mergers and acquisition, exit strategy, issuing new share , percentage of ownership, type of shares, how board members will be appointed, merger, signatory rights, quorums and resolutions, conflict of interest among many other things. A co-founders agreement is a detailed agreement that sets out clearly these important issues as agreed upon by the co-founders hence protecting the interest of the co-founders so they can concentrate on the hectic tasks of running and building a business. Once it is made into a legal agreement, all the parties are bound by it. This is great, right? Does your company’s memorandum and articles of association include all these details? Have you discussed with your co-founders the issues raised above and documented it in a legally binding contract? If your answer is yes, kudos! You are on the right path. If your answer is No, then you know that your interests aren’t protected. Will you work hard at building a company, scaling up but leaving your investment to chance, like Eduardo Saverin? The choice is yours; i trust that as an astute entrepreneur, you will choose wisely. Tosin Omotosho is the Principal Partner at Charis Legal Practice, a law firm based in Lagos Nigeria. She is a business lawyer and helps companies implement best legal practices and avoid legal mistakes associated with running a business in Africa. She has over 11 years experience in legal consultancy, litigation, company structuring, commercial contracts and commercial transactions. She has consulted for and represented companies in the real estate, retail, advertising, agriculture, e-commerce, technology, hospitality and manufacturing industries. An avid reader and writer, she believes in helping companies improve their operations and increase revenue by placing more importance to the legal aspects of their businesses. Contact her here, to read more of her articles, click here.